Arch Automotive has been a prominent contributor to the Cayman community since 2001. Sponsoring many charities including the Cayman Islands Marathon, the Cayman Heart Fund, Flowers Sea Swim, Rotary, Kiwanis, Lions, and the annual Hedge Funds Care auction. For the past two years Arch Automotive has been an exhibitor and supporter at the John Gray High School Career Fair. Craig Arch, Crew Chief at Arch Automotive, and his technicians, talk to the students interested in the automotive industry; explaining new technologies and demonstrating the computer diagnostic system on our VW and Audi vehicles. 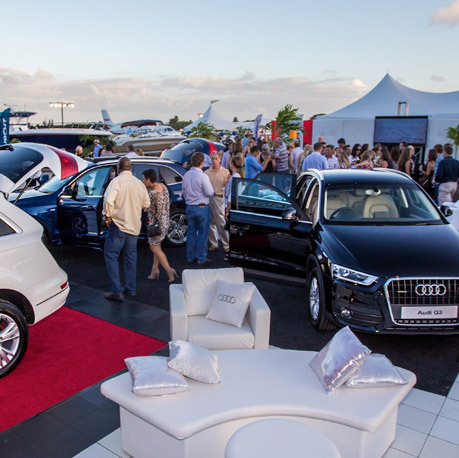 Once a year Arch Automotive takes time out to thank their Audi customers by co-sponsoring the annual “invitation only”, Audi & Tropical Aviation luxury party, hosted by Island Air at the Owen Roberts International Airport. With over 1,000 invited guests in attendance, Arch Automotive takes the opportunity to showcase new Audi models and welcome guests to the Audi sponsored champagne lounge.